In today’s marketplace, it’s all about results, right? As long as you are hitting your quarterly top line and bottom line numbers, your Board is nodding with enthusiastic affirmation, and your market share is growing, all is well. Or is it? Could there be trouble lurking below the surface? How can you know before trouble strikes? It’s tough to argue with financial performance metrics. However, I’ve witnessed some pretty devastating collateral damage within companies that had once been cruising along quite nicely. Had there been more proactive probes, more effective challenges to the status quo, or a thoughtful expansion of what defined the “measures of success”, disaster may have been averted. Chances are, you have witnessed similar failures as well. Sales performance is more than the top and bottom line. What is your immediate reaction to the names, Jeffrey Skilling and Kenneth Lay of Enron? What about Bernie Ebbers of WorldCom? How about another infamous “Bernie” – Bernie Madoff? Anyone with even a marginal sense of right and wrong has a visceral reaction of repulsion to any or all of those names – especially to the name “Madoff”. However, you would have likely given a different answer if you knew anything about him before “Madoff” became synonymous with “Ponzi” in 2008 and 2009. Prior to that, you were considered to be among an elite group if you were “fortunate enough” to invest with him. Bernie Madoff had incredible sales performance for almost 50 years! He once was the rock star of Wall Street. The guy was slick. He was polished. He had credentials. He “made” a lot of people money along the way – until the music suddenly stopped playing. At the end of the day, he was proven to be a huckster of gargantuan proportions who trashed the lives of many to the tune of approximately $50 billion. Under the mirage he skillfully “sold” of deep and rewarding financial waters, massive and dangerous rocks of truth were lurking – underwater boulders capable of shipwrecking his loyal crew and unsuspecting passengers who had entrusted their livelihoods to this once-respected man. Once the financial tide went out, the rocks which were always there – hiding just below the shallow surface – suddenly appeared. 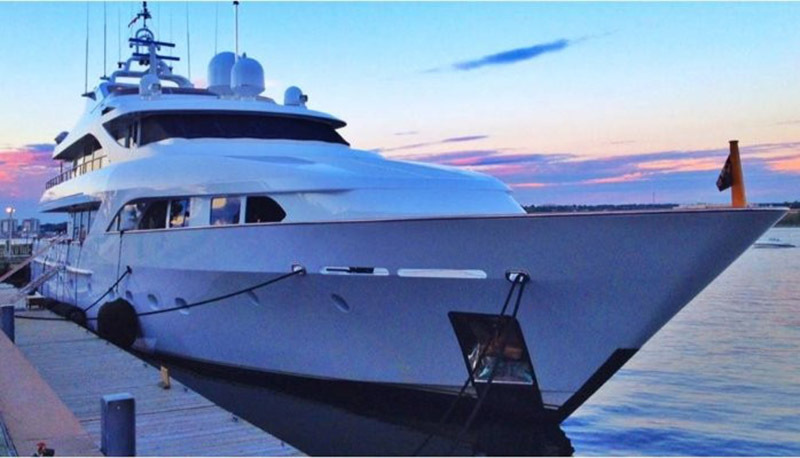 In an instant, the bow of Bernie’s opulent, “safe investment yacht” was savagely ripped to shreds by perverted peaks of Ponzi. The power to influence is not limited to the CEO. Ultimately, those occupying the highest seats of power in your organization can have the most profound effect (both for good and for evil) on your company. However, ANYONE who represents your company – especially front-line sales and customer service people – can wield tremendous power in forming your brand’s perception and reputation simply by the way they conduct themselves day in and day out. After all, we are ALL ambassadors of the companies and brands we represent by how we speak and act toward others. Yet, how often do we measure these behaviors? It doesn’t require committing fraud to severely damage your brand. Have you known sales “top guns” who consistently shot the lights out of the numbers but eventually, their actions revealed that they were all about themselves? Ultimately, they proved to be more about what YOU could do for THEM than vice versa? 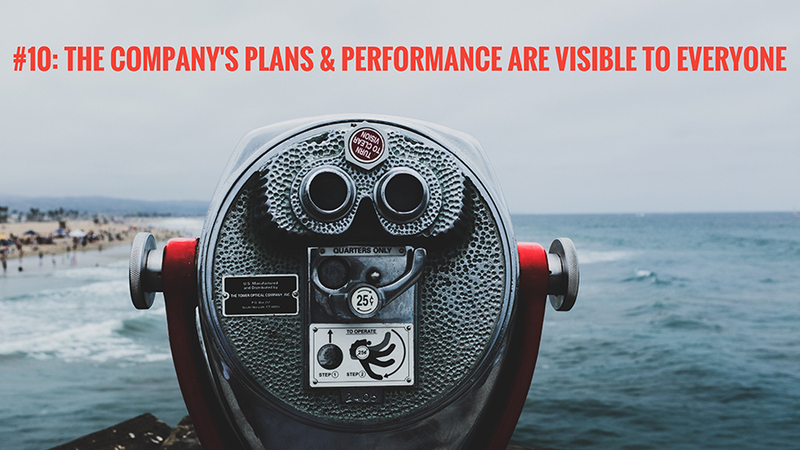 Chances are, all the financial metrics on their performance dashboard were on target. Yet, it eventually became obvious in other behaviors that something was off kilter. I referenced Bernie Madoff as an extreme example simply to make a point: We should be measuring and evaluating MORE than short-term sales performance if we want to build a company of integrity, lasting value, and long-term relationships with our customers, colleagues, and vendors. If those things don’t matter to you or your company, then full steam ahead with whatever you are doing. Good luck with that. “Trustworthiness” and/or “seeking win-win solutions” as deemed by your customers. “Collaboration and teamwork” as deemed by fellow employees. “Exhibits company core values” as deemed by both employees and customers. If you are measuring things like this, congratulations! 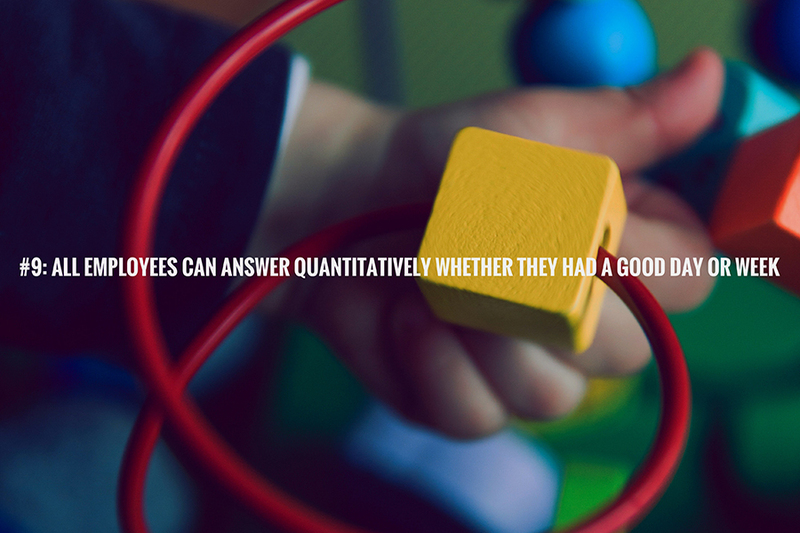 Your company likely values more than simple financial metrics. However, in the case of Bernie, he may have still scored highly on all of those. We need to measure those things that can be measured and be on the look-out for other indicators. At the heart of the matter, it’s the motivation of the heart. I think it is very difficult and even dangerous to try to discern the motivation of someone’s heart beyond our own heart. We can misinterpret others’ motivations and easily be deceived by our own. Even so, I believe it is worth starting with an examination of our own motivations first before we take on judging the motivations of others. Am I being driven by my needs and desires (short-term sales targets, quotas, notoriety, affirmation, rewards, etc.) or am I genuinely seeking to put the needs of someone else ahead of my needs? Am I willing to “do the right thing” even if I must pay a hefty price to do so? Can my values be bought at a certain threshold? If so, “conviction” is really a “preference” with a price. Look for the fruit. While discerning the motives of another’s heart is really up to God and not us, examining “fruit” of their actions is less difficult to spot. Jesus himself said, “Every good tree bears good fruit, but a bad tree bears bad fruit.” That doesn’t mean that any of us will walk perfectly. We all screw up. How does this person treat those who likely couldn’t benefit them in any way? For example, how do they treat the janitor, the lowest paid guy on the plant floor, the teller, the waitress, or the taxi driver? Do they treat those who can benefit them one way and everyone else another? How does this person treat their spouse? If they make a mistake, are they quick to blame others or are they willing to raise their hand quickly and accept responsibility? Do they expect others to “carry their bags” or do they demonstrate “servant leadership” like opening doors for others, helping clean up messes they didn’t cause, tipping generously when no one is looking, saying “thank you” for even little things, etc.? Can you trust them to honor their verbal commitments? A broader definition for success is needed and should be measured. I don’t believe that sales performance must ignore financial results. Without financial performance, a company eventually ceases to exist. However, I believe we can all be well served to raise our eyes and take a broader view of what we are evaluating when we define and measure “success”. While it is important to give financial performance a respected seat at the table, our companies can increase our chances of creating healthy, sustainable, win-win-win relationships with our customers, companies, and colleagues. How? By evaluating and expanding our performance measurement criteria to align with our stated values. Then what? Once we have taken the time to define and measure relevant performance metrics that INCLUDE but GO BEYOND simple financial performance, I believe that we need to consistently hire, train, and reward our front-line sales and service colleagues based on these expanded criteria. We also need to pay close attention to the “fruit” exhibited by those who are members of our crew. When the fruit is present, the measurable performance is likely to show up as well. And what about when our “sales star” who puts up great numbers fails in the other important measures? I believe we must attempt to coach them to success – if they are coachable. However, if they can’t be coached to perform beyond the one trick of financial performance, we need to find the courage to promptly ship them out of the organization. In doing so, we just might save our customers, colleagues, brands, companies, and even ourselves from some serious trouble that may be silently lurking beneath the surface.